Debenhams were opening their first store in Australia and wanted our help to launch and cultivate their brand's omni-channel experience. With a separately managed ecommerce site, the decision was pre-defined to go in the direction of a mobile app as their primary customer facing channel. An application would allow the customer to control and interact with the whole Debenhams ecosystem, all from the customer’s smartphone. With a complicated and precarious ecommerce licensing agreement, the decision was pre-defined to go in the direction of a mobile app. An application would allow the customer to control and interact with the whole Debenhams ecosystem, all from the customer’s own smartphone. Without an established presence yet in Australia, we weren't able to recruit existing Debenhams customers, so reached out to 15 department store shoppers to gain insights on their needs, motivations and frustrations to help shape the app solution. What are the challenges or barriers with app use & adoption? What’s important for a great app experience? What are department store shopper’s needs and unmet needs, both online and off? How are customers interacting with their smart phones in-store? With a myriad of products and customer archetypes, department store customers still need to feel like they belong and can find what they’re after with ease. 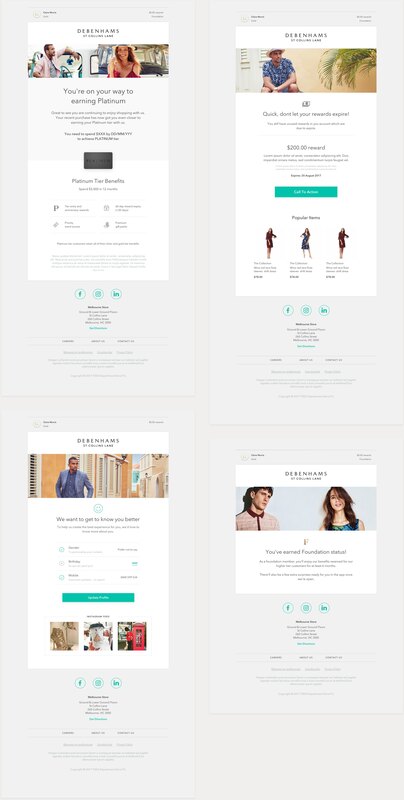 Personalisation is an important feature for users with specific style and sizing needs. Some of the customer’s core frustrations are seen during their in-store experiences, being unimpressed with busy and un-interested floor staff as well as poor changeroom assistance and changeroom availability. With only one store in Australia, it needs to be easy for users to find and access information they may not be able to in-store. Customers are protective of their storage space and regularly cull apps they don’t use often. We had customers conduct a card sorting exercise to help us understand what is important to them in an app experience. Whether exploring new products or looking for something specific, product browsing is the key goal of any shopping experience, and as such it must be well thought-out and intuitive to use. Without a traditional website to browse and purchase products, it’s important that an app can service these core customer needs. Following our customer interviews, we synthesized our findings and were able to create a customer journey and persona which were presented and discussed with the client. These exercises formed a great foundation to move into feature ideation and prioritisation. Designing a flexible set of steps that can capture the amount of data the user feels comfortable submitting—prioritising name, email and password fields—while leaving the door ajar for a customer to skip at any time. Allowing customers to view their rewards, tier progress, benefits, profile settings and access their barcode for in-store ID scan. Being new to Australia—product and brand discovery was an essential part of a users initial and ongoing app experience. 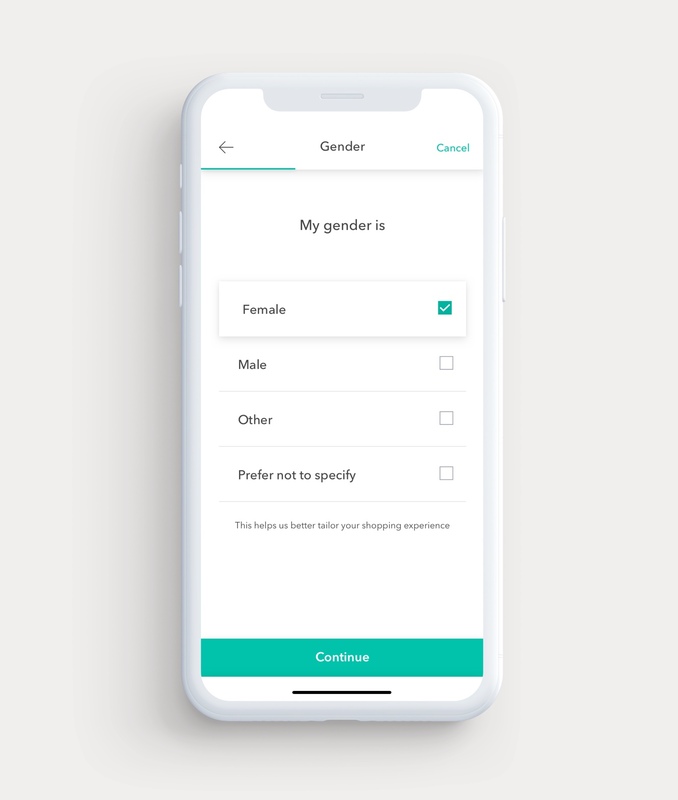 Without a traditional item purchase flow — a product reserve feature became an important app function for customers to action an item they could then try on and purchase in-store. Book a 1-on-1 appointment with a Debenhams beauty brand specialist. Brought to life using Zendesk as a tool to submit appointment tickets the customer service team could respond and manage themselves. We developed a series of life cycle emails that would engage the customer at different key moments of their journey. Emails were triggered at particular times and events to reward, motivate, retain and influence behaviour. With the pressure of a tight budget and deadlines, it was difficult to redirect the clients focus from the next feature and onto the customer. We were able to get regular updates from customer support and analytics, but weren’t able to gather important qualitative feedback. This made it difficult to help our client make evidence based decisions with ongoing features. This isn't an uncommon issue, and wasn't solved from simply raising these issues in meetings. Running small workshops to discuss feature desirability of customers could have been an effective way to expose important unknowns and encourage directional research. 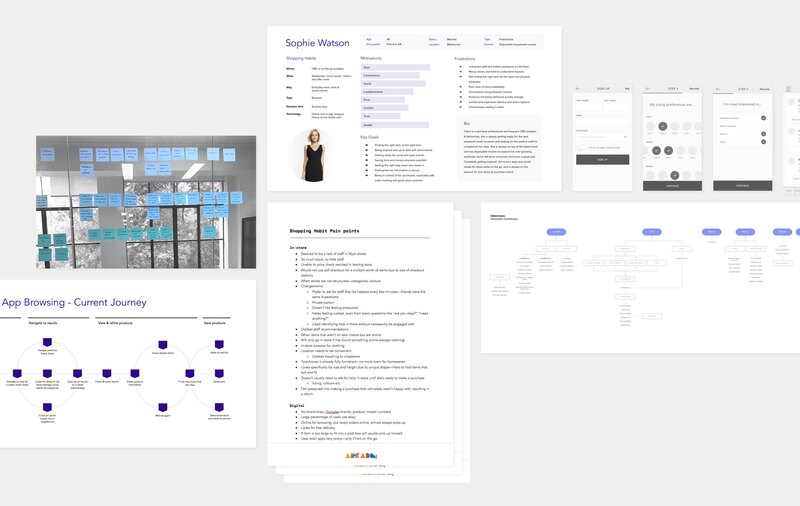 The introduction of design systems within our agency's workflow was a relatively new aspect of our process and I had underestimated the success of it's adoption. 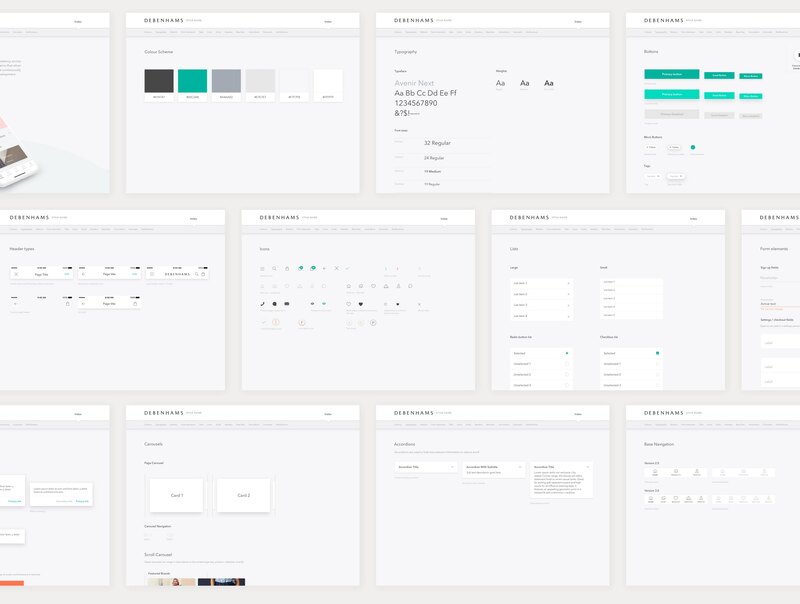 A design system needs constant reference, particularly when operating within teams that see regular change in personnel. A design system's success relies on a dedicated advocate.